raises exposure of journals, boosts their readership and encourages new manuscript submissions. Paperity is the way towards more efficient scholarly communication in all research fields, from Sciences, Technology, Medicine, to Social Sciences, to Humanities and Arts. Our ultimate goal is to aggregate 100% of Open Access literature, published in any place around the world, in any field of research. For latest news, see Paperity Blog or follow us on Twitter and Facebook. demand easy access to all literature they need, especially that this literature is produced by themselves. Scholarly communication wants to be open, because openness is not about cost, it is about freedom of scientific investigation. The Open Access movement has gained already a strong foothold in academia and its constant growth indicates that in a few years from now toll-access publications will simply disappear, or convert. Universality. 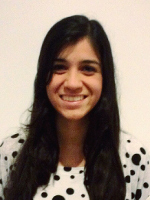 Paperity is multi-disciplinary and covers all fields of research. Today, scholars need wide access to literature, from many different fields, even from outside of their core research area. Research has become interdisciplinary and the most ground-breaking discoveries tend to happen on the crossroads of different fields. Academic services need to catch up. Every tool that aims at facilitating access to literature must be multi-disciplinary in order to be really helpful. That is how Paperity works. After the Open Access movement tore down the paywalls that obstructed access to scholarship, Paperity now breaks down the walls that has traditionally separated different disciplines and impeded communication between researchers of different specialties. Integrity and high quality of the corpus. Paperity makes sure to index only genuine scholarly literature. Thanks to our original technology, we collect detailed information about every document to be included and pay close attention not to pollute the collection with irrelevant entries. In Paperity, you will never find student assignments, business presentations or cooking recipes classified as scholarly papers. This is a unique feature. Other search engines and full-text aggregators blindly accept every PDF found on the web or uploaded by a user, and only PubMed Central provides similar level of consistency – PMC however is limited to life sciences alone. Importantly, Paperity assigns permanent addresses (URLs) to all article pages and guarantees that they will never change, thus everyone can safely link to them without the risk that they become invalid one day, as is often the case with original article pages at source journal websites. Paperity is under constant development. We not only keep extending the corpus of literature, but also want to add many ground-breaking features to the website that will help academics fully embrace Web 2.0 and start communicating and disseminating efficiently. EBSCO Information Services is a major global provider of bibliographical services for academic and research libraries. In order to encourage the use of Open Access resources among library users, EBSCO and Paperity established cooperation: Paperity informs EBSCO about all new journals that join the aggregator and EBSCO includes them – together with hyperlinks to their Paperity profile pages – inEBSCO A-to-Z, a bibliographical catalog used by libraries and library users around the world to facilitate and manage their access to journals. Altmetric (www.altmetric.com) is the leading provider of alternative metrics of research impact. Under the partnership with Paperity, Altmetric tracks online mentions of Paperity pages of articles and measures online attention they receive in social media (Facebook, Twitter etc. ), with calculation of the Altmetric score for each of them. This helps authors demonstrate their impact, even soon after publication, and build their academic CV. Alternative metrics complement traditional citation-based metrics and gain more and more popularity in academic institutions as a simple yet effective way to measure personal impact of individual researchers. 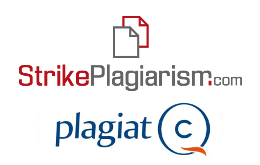 StrikePlagiarism.com and Plagiat.pl (strikeplagiarism.com, plagiat.pl) are leading providers of anti-plagiarism software, offering their services in Europe, Asia and Latin America, and cooperating with over 250 universities around the world. Paperity helps them fight academic fraud by providing bibliographical data of reference works for anti-plagiarism checks. Thanks to this cooperation, journals included in Paperity enjoy greater anti-plagiarism protection and benefit from an increased number of accurate citations that correctly reference their publications. CERMINE (cermine.ceon.pl) is the most sophisticated tool out there for the analysis of scholarly PDFs, and a central element of our tool chain that helps us deliver the best user experience. 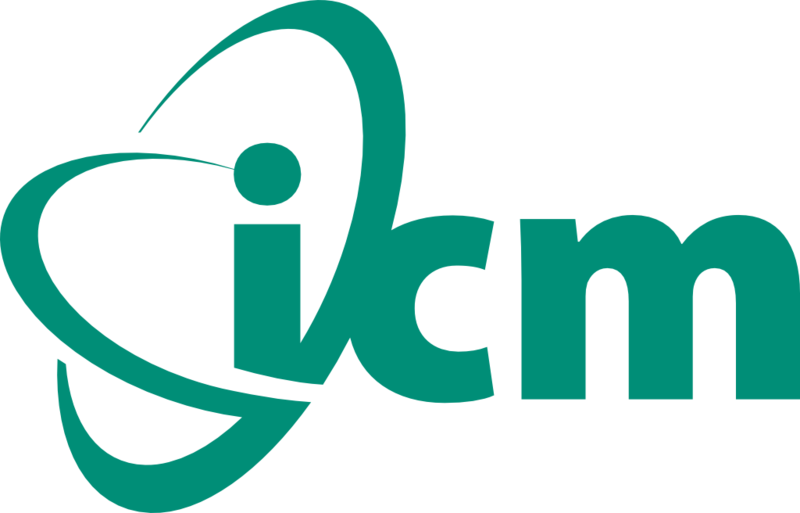 Kudos to the CERMINE team at the Interdisciplinary Centre for Mathematical and Computational Modelling (ICM), Warsaw, Poland, for their great work. 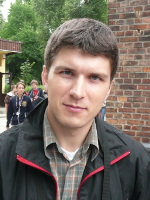 Marcin Wojnarski, Founder and CEO. Data scientist and entrepreneur. Medalist of the International Mathematical Olympiad, laureate of the EU Contest for Young Scientists, inventor of a market-leading technology for Big Data compression. Awarded multiple times for his achievements by the Ministry of Science and Higher Education of Poland. Before founding Paperity, he developed TunedIT – the first website for data scientists that provided support for reproducible experiments and hosted online data competitions. Proponent of Open Access, Open Data and Open Science. Author of over a dozen of peer-reviewed papers; reviewer for numerous journals and conferences. For many years he has collaborated with the Group of Mathematical Logic at the University of Warsaw, led by Prof. Andrzej Skowron. Researcher at The Max Planck Institute for Developmental Biology – works on pattern formation in zebrafish in the lab of Nobel Prize laureate Prof. Christiane Nüsslein-Volhard. 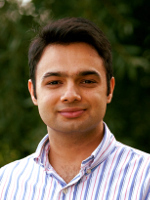 Besides his PhD research, Prateek belongs to the steering committee of PhDnet (a national organization of doctoral students) in the Max Planck Society. He joined the Open Access movement as a co-organizer of Berlin 11 satellite conference, 2013 in Berlin. 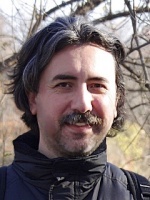 He is involved in advocating and educating about Open Access among early stage researchers and as an advisory group member of the eLife journal. Medical student at Universidad Latina in San Jose, Costa Rica. Open Access proponent with a major interest in global health, medical research and development. Collaborating with other Open Access projects: the Journal of Young Investigators and OA Button. Doctoral student and research assistant at the University of Warsaw, Poland. Graduated in Mathematics and Computer Science. 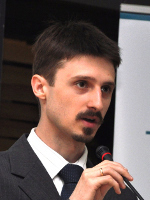 As a participant of a national research project that aimed at building open web platform for hosting scientific resources, he investigated the ways of semantic analysis of scholarly literature and automatic extraction of semantic data. His other research interests include machine learning and artificial intelligence. Software geek and web guru with 20 years of experience. Formerly a founder of a software house and several successful startups. Paperity is committed to openness and will always provide free access for all to the entire corpus it aggregates. If you like our service and want to support its mission of fixing scholarly communication and providing unconstrained access to all literature, please make a donation – this will help us extend the scope of aggregation and develop new application features faster. If you have any particular request or suggestion regarding new features or literature sources we might add, please e-mail us at: paperity(at)paperity.org. Thank you for your support! You can contact us at: paperity (at) paperity.org. You can download different versions of Paperity logotype as PNG images, or alternatively EPS or AI files.